On the one hand there are clocks like this. On the second hand there are clocks like this – click on it. It’s worth it. Clocks and clockmakers have featured as metaphors in theological understandings down the centuries. 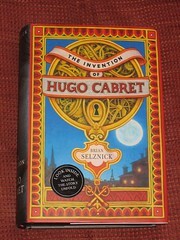 Hugo is a lovely film based on the book by Brian Selznick which gets the metaphor of the clock ticking again. 12 year old Hugo Cabret lives in the huge clock at the Gare du Nord in Paris. Clocks are the family business. His father was a clockmaker, his inebriated uncle is the clockkeeper at the Paris station. Hugo is fascinated by the workings of the clock and how the parts all fit together. He knows that there are never any spare parts, so anything left over has to fit somewhere, and has a vital part to play in working the clock. (Flatpack furniture is packed along similar lines – it’s a sign that the assembly has gone wrong if there is anything left over). Not only does Hugo apply this principle to the art of clockmaking, he also applies it to people. Georges Méliès was a pioneering film maker who found his skills not wanted as technology moved on. His life disintegrated and Hugo helps put George’s life together again – working like clockwork. What if there are no spare parts? What if every part of our biodiversified universe has its part to play? What if nothing or no-one is redundant? While our human drives are shaped by the principles of the “survival of the fitting” our organisational thinking should be challenged by working out the role of the square peg, and not just the round peg for the round hole. Neither round pegs or square pegs are spare parts.There are no misfits. Even the orphan in his secret hideaway in the clock tower is no misfit, but has his vital part to play. Posted in organisation.Tagged clocks, diversity, Film, Georges Melies, Hugo, Hugo Cabret, inclusion, organisation, Paris.